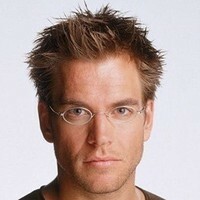 Michael Manning Weatherly, Jr. (born July 8, 1968) is an American actor and director, best known for his roles as Special Agent Anthony DiNozzo on the television series NCIS, and Logan Cale on the television series Dark Angel. 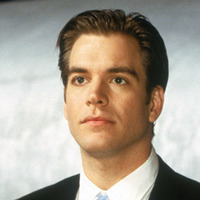 Born in New York City and raised in Fairfield, Connecticut, by parents Patricia O'Hara and Michael Manning Weatherly, Sr. Weatherly is of Irish descent. He attended Fairfield Country Day for Elementary and middle school. Weatherly graduated from Brooks School in North Andover, Massachusetts, in 1986. Subsequently, he spent some time at American University but he left college to pursue a career in acting. He also had a great passion for music, and played in a band while pursuing his acting career. He began acting professionally and landed his first job as Theo Huxtable's roommate on The Cosby Show (1984)and a role in the independent film Trigger Happy (2001)opposite 'Rosario Dawson'. This led to numerous guest spots on television and brought him to Los Angeles. After moving to Los Angeles, he landed a series regular role in the FOX television series Significant Others (1998). Weatherly then met director 'Whit Stillman', who cast him in the film The Last Days of Disco (1998) opposite 'Chlo� Sevigny'. Weatherly also starred as 'Christina Applegate's ex-husband on the television series Jesse (1999) and in the films The Specials (2000) opposite 'Rob Lowe', Venus and Mars (2001) opposite 'Lynn Redgrave' and Gun Shy (2000) opposite 'Liam Neeson' and 'Sandra Bullock'. 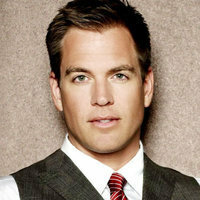 Weatherly married his Loving/The City co-star 'Amelia Heinle', who currently plays Victoria Newman on The Young and the Restless, in 1995. Heinle gave birth to the their son, August (born January 10, 1996), in New York City. The couple divorced in 1997. In 2001, Weatherly became engaged to his Dark Angel co-star 'Jessica Alba', but the couple ended their engagement in 2003. Weatherly married internist Bojana Janković in September 2009. The couple live in Los Angeles with two German Shepherd dogs, Oriana and Quantum. They have two children, a daughter, Olivia (born April 10, 2012), and a son, Liam (born October 29, 2013). 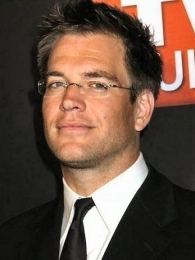 Weatherly is the uncle of actress 'Alexandra Breckenridge'. Was engaged to _"Dark Angel" (2000)_ (qv) co-star 'Jessica Alba' (qv). Uncle of 'Alexandra Breckenridge' (qv) from Dirt and _She's the Man (2006)_ (qv). Attended Fairfield Country Day School in Fairfield, Connecticut. 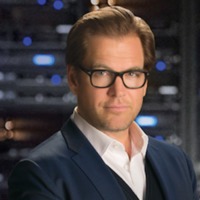 Son of Michael Manning Weatherly, Sr., who made millions as the American importer of the Swiss Army Knife, and Patricia, a hospital administrator. Has one son, August Manning, born in 1996, with ex-wife 'Amelia Heinle' (qv). Attended the TV Week Logies on May 6, 2007 as an international guest for Channel 10. The Logies were held in the Crown Casino Complex in Melbourne, Australia. Michael was accompanied by his niece, 'Alexandra Breckenridge' (qv) . He attended Boston University, American University in Washington DC, American University in Paris and Menlo College before dropping out of college completely to pursue an acting career. Played in a band to supplement his acting in the early days of his career. He plays guitar and piano. He also sold shoes, delivered pizzas, dabbled in songwriting and also worked in the videotape library of ABC. A big part of his job there was to log and cart around one-inch reels of videotape.